It’s spring and it’s snowing outside this morning, yet the weather is going to be in the 40s? This is my dressing challenge this morning. Today is the last and 4th 20 mile run. I’m going a long run sponsored by New Balance and Marathon Sports. At 7:30a.m. 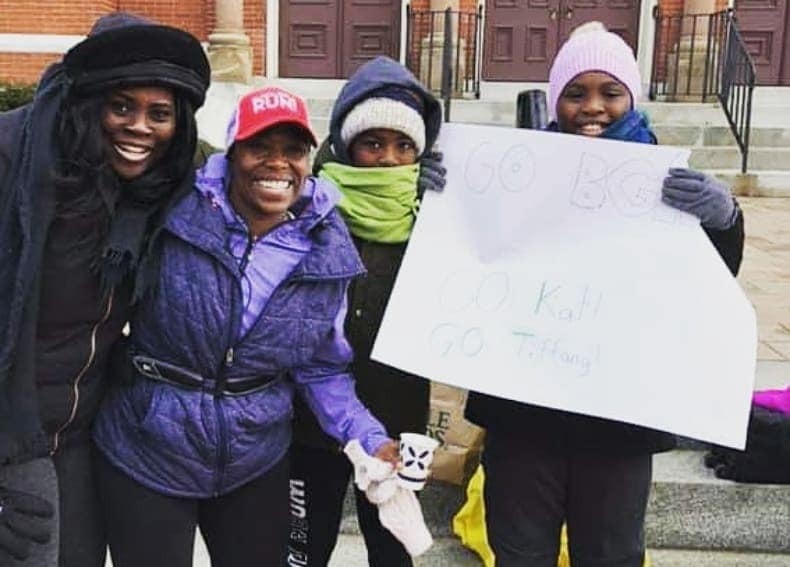 they are loading up buses to take people to mile marker 5 of the Boston Marathon Route(BMR) and they we will run the 21 miles back to the 26.2 finish line. What I did not know, this Saturday is the last training run for the charity runners and anyone else who is training. This was a “run rehearsal” for the marathon. There were more than 1,000 runners, police protection, some roads were closed, and there were tons of water and fuel stops along the route. This is a huge thing. People from out of the state come to run on the “ last long run day” before the Boston Marathon. There were runners nonstop, on the route. There was no way I could get lost to find my way back to the Marathon Sports Store. The other main issue I had was parking. I couldn’t park on the start because it was for 2 hours. I knew it will take me longer than 2 hours. I could have taken the T. I know by the time I’m done I would need to go home ASAP because I would be cold and crampy. The only option was to pay $42 mother freaking dollars for parking. I was so pissed. Because it was so early, 6a.m., I could get it validated for a discount because none of the stores were open. Once we got dropped off in Framingham the fun started. The snow had stopped and the runners were everywhere. I felt good because I knew this route because of last week’s 13.1 on the BMR. I knew to go slow and save my energy and pace. When I got to Wellesley Library, the 13.1 marker, it was my 8 mile marker. This is what I knew. Until I reached the 17 mile marker, 4 miles of the route was unknown to me. This is when it started to get warmer and all the charity tents were out. I didn’t have to worry about hydration, food or gu because the volunteers had the runners taken care of. 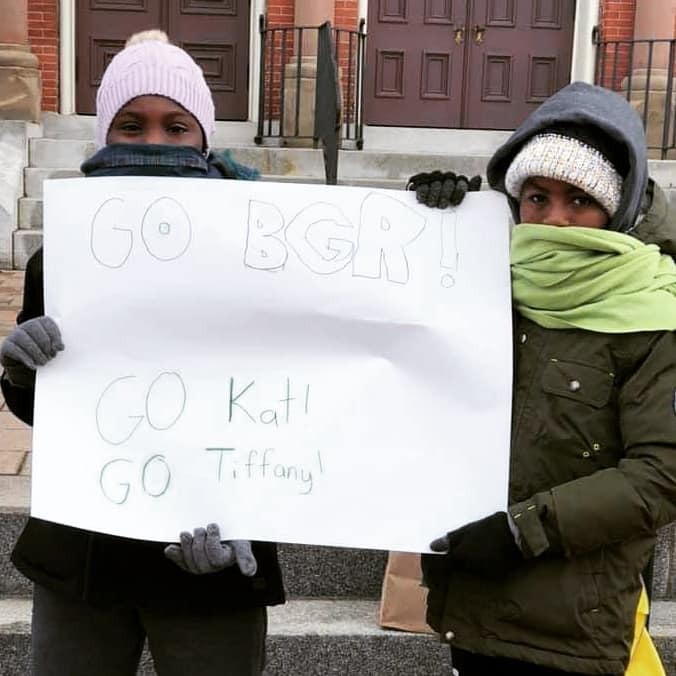 My happy while running was seeing my BGR sole sistas cheering me on the route. I knew some would come. I wasn’t expect them to follow me and meet me at various points along the route. There were 5 that they meet me. After passing the fire station in Newton( 17 mile marker) and seeing my ladies, again. I knew I had 3 miles to the 20 mile marker and 1 mile after that to get over heartbreak hill. Again, this was familiar because I ran it on two of my runs. At this point I’m still feeling good and strong. I learned to bring my own gu to help with energy and it worked. When I reached beyond mile 21, I started to feel it in my legs. I had to persist. 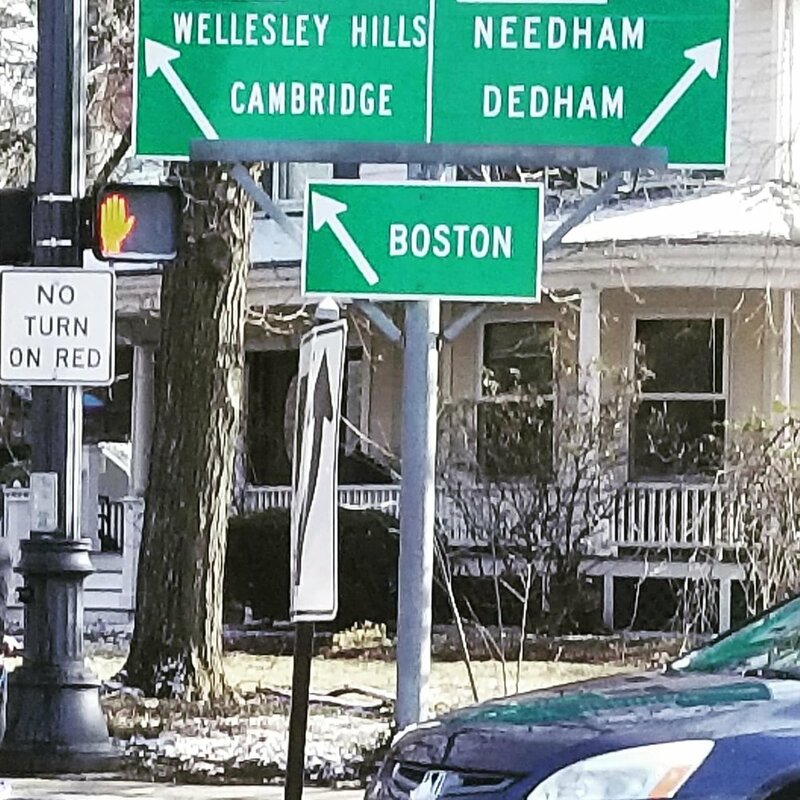 Turning on Beacon street, was new to me. The next 6 miles that I had to run, I hadn’t before. Now I had to fight people and traffic on this section. I had to still persist. I had to keep telling myself, it’s a 10k. I do 10ks all the time. My uplift was seeing my crew at Kenmore at the Boston Strong Over pass. They made me laugh and kept me going. I finished. Then I saw one of my sole sistas at Marathon Sports waiting for me to arrive. That was just the best.